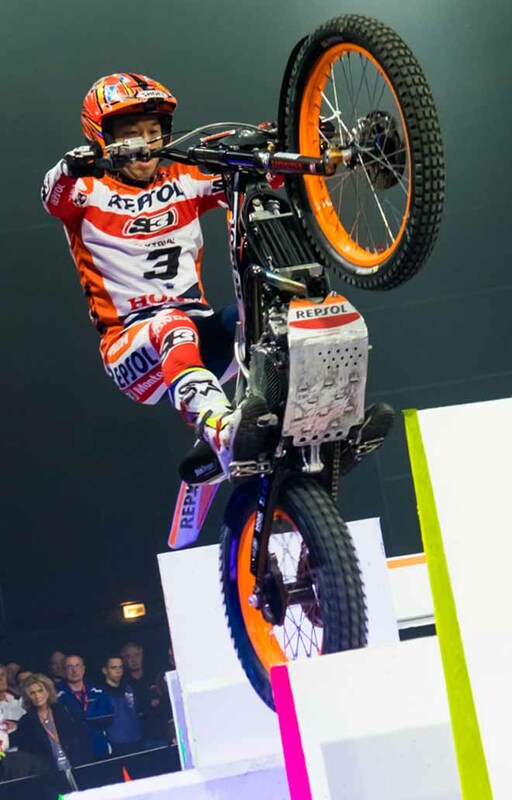 Reigning X-Trial World Champion Toni Bou (Repsol Montesa Honda) recorded his 55th career victory and tenth in succession in front of over 5,000 spectators in the Zénith de Toulouse. Dominating each of the competition´s three rounds, he took a commanding lead over Adam Raga (TRS) in the Final and ultimately victory by a seventeen-mark margin. The key to Raga´s defeat were fiascos in the opening two sections, which left Toni Bou to seal the X-Trial in the third section. But the 4-times World Champion nonetheless enjoyed a fruitful night, his second position producing a 100th career podium. A third different rider in three rounds accompanied Bou and Raga on the podium, with young Frenchman Benoit Bincaz (Scorpa) demonstrating his continued progress and taking third position. 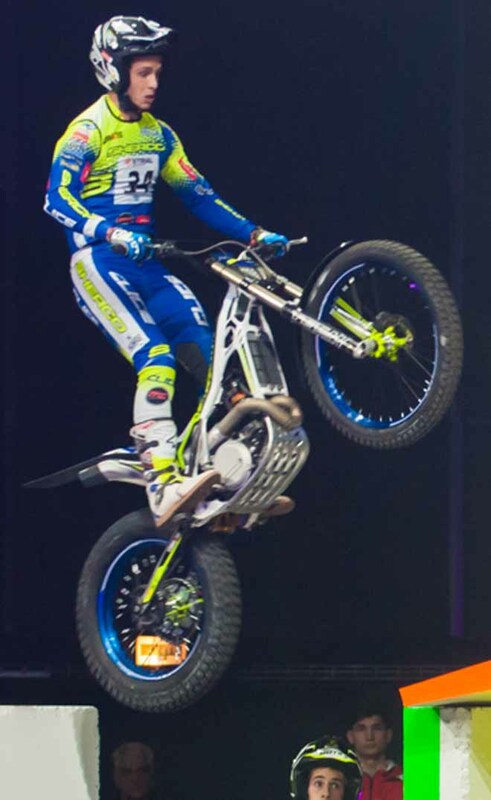 The result is the first time that a French representative has made an X-Trial podium since Bruno Camozzi in 2001. 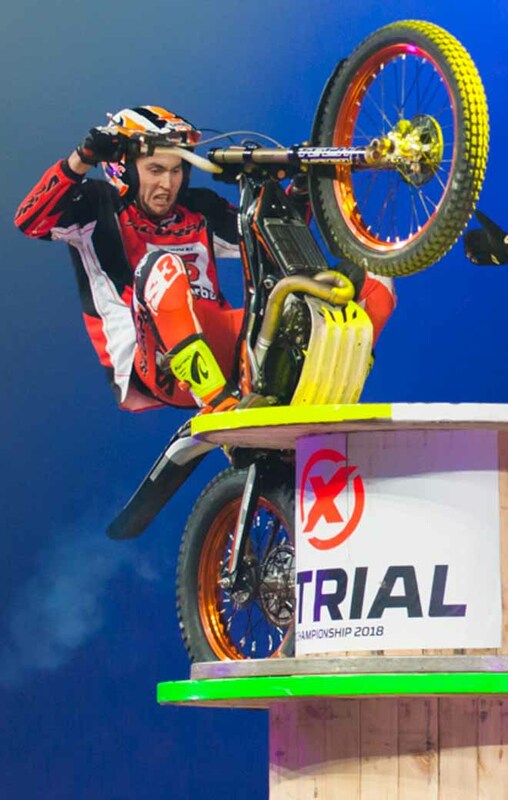 Another X-Trial youth hopeful, Miquel Gelabert (Sherco), only narrowly missed out on the podium, but a crash in the fourth section led to three successive failures that dropped him to fourth. 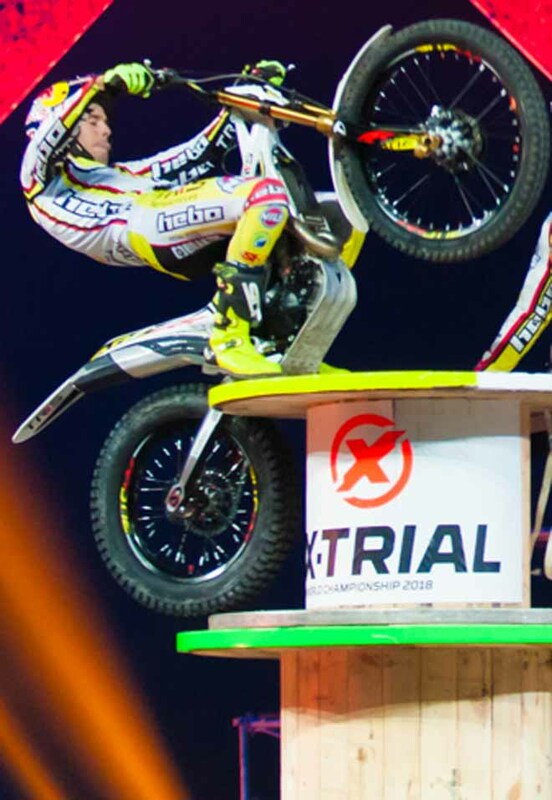 Nonetheless, by beating the three other event riders, including Takahisa Fujinami in the second round of Heats, Gelabert earns automatic qualification for the fourth round of the X-Trial World Championship next week in Strasbourg. Fujinami (Montesa) missed out on automatic qualification by just one mark, but he and Jaime Busto both improved in Toulouse after disappointing showings in Montpellier. 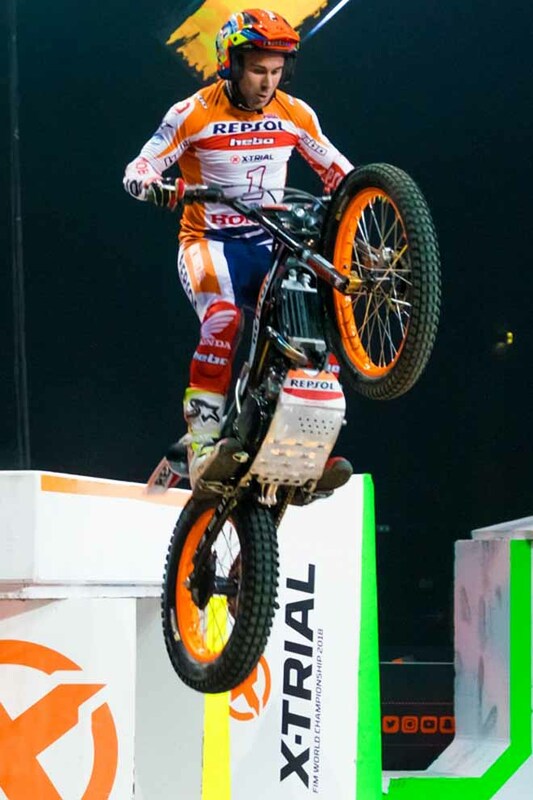 Meanwhile Jack Price (Gas Gas) on his X-Trial debut was an early eliminee, as was his teammate Jeroni Fajardo. James Dabill (Beta) was surprisingly knocked out in the first round of heats on the back of a strong podium showing in Montpellier, and after a dramatic crash that forced him to change machines mid-lap. Toni Bou (1st): “My performance in the Final was fantastic and an exceptional victory. The level of the event was very high and demanding, and I didn´t push too hard at the end of the first and second laps because I´m not at my best physically, and I didn´t want to take unnecessary risks as I have some back problems. This third consecutive victory is more than satisfactory; now I hope to continue in the same vein and resolve my physical problems quickly, because the calendar is very demanding. The X-Trial World Championship stars will now start their trip towards Strasbourg, which hosts the fourth round of the series on 26th January.